Information submitted in a nomination letter to the U.S. National Ski Hall of Fame. Not everyone in Tahoe City, California skis but almost everyone does. One of the best skiers to emerge from the High Sierra town, located just a snowball’s throw from the site of the 1960 Winter Olympics in Squaw Valley is Greg Jones. At age 25, Greg had become only the third American in the 40 years of Olympic and F.I.S. World Championship alpine ski competition to earn a medal. 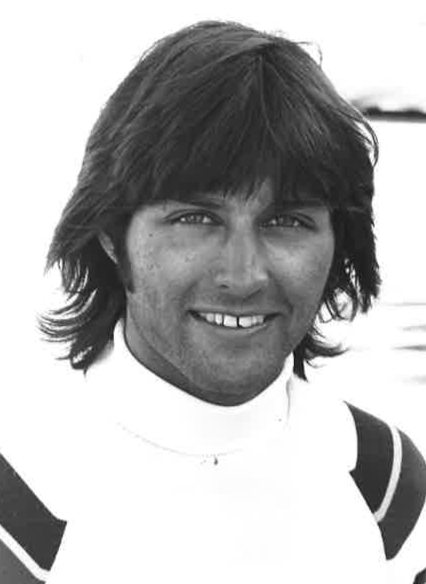 The Tahoe City skier joined Jimmy Heuga (bronze in slalom in the 1964 Olympics) and Billy Kidd (silver in slalom and bronze in combined in 1964) when he won a bronze medal in the F.I.S. Alpine Combined for his efforts at the 1976 Olympic Games in Innsbruck. Some people were surprised at Jones’ strong finishes at the Olympics (9th in giant slalom, 11th in downhill and 19th in slalom) but those who followed ski racing could see it coming over a year before the opening of the Innsbruck Games. That’s when the shy, then 22-year-old became the first American to ever place as high as second in the European World Cup Giant Slalom event. That race was the giant slalom held at Madonna di Campiglio, Italy and Greg finished second – after starting from the 37th position! “This race will be a great confidence builder for the rest of the winter”, Greg said after the race and indeed it was. Greg followed that historic showing with a 4th in the World Cup Giant Slalom in Sun Valley, Idaho and a remarkable succession of three straight Europa Cup GS races in the spring of 1975. As the 1976 season approached, Greg was confident and “psyched up for the Olympics.” “you can make it go for yourself if you want it badly enough” Greg said of his chances before the games. Greg ended up ranked 7th in giant in 1976 and was ranked first among American men. He also won the national championships in the downhill to top off his best year of competitive ski racing. When you take into consideration Jones’ earlier accomplishments including four years (1974-77) on the U.S. National “A” team, a National Junior Downhill Championship in 1972, selection to the NCAA All-American ski team as a freshman at the University of Colorado in 1973, participation in the F.I.S. World Championships in 1974 and a slalom title in the World Series of skiing in 1974, one might think Greg has already had a lifetime’s worth of skiing. Not so according to Jones. Jones’ passion for ski racing had its seeds planted when Greg first strapped on a pair of skis at age five and it grew after his first race at age eight. Greg skied for the Lake Tahoe Ski Club and started out under the guidance of his father, “Bud” Jones as well as Osvaldo Ancinas. At Innsbruck in 1976, he proved that he had attained that goal in the alpine combined. Greg is married to Christina Folger Jones. They have two daughters, Tiana Folger Jones and Allison Davis Jones, both accomplished ski racers. Gregory Jones was elected to the U.S. National Ski Hall of Fame in 1978. If you notice any errors or inconsistencies in Gregory Jones's bio, click here to let us know.